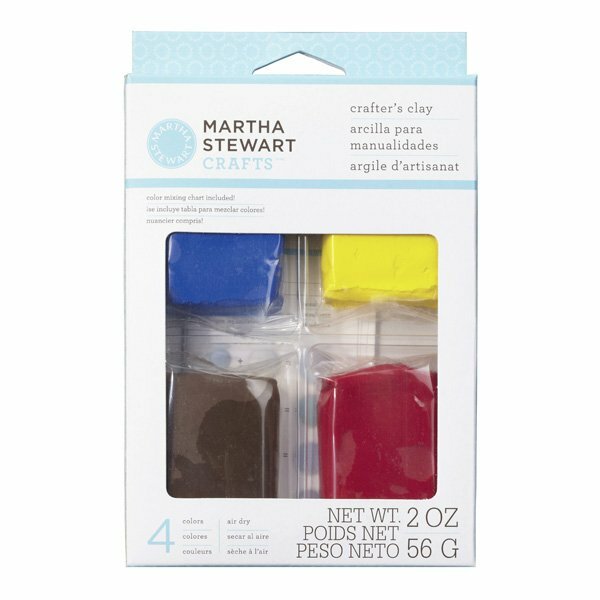 From Martha Stewart Crafts this Basic Colours Crafter's Clay Set can be used to create beautiful, dimensional flowers, figurines, borders, and other embellishments for use in any craft. The air-drying molding compound is non-toxic and dries without baking in 24 hours. Use with silicone molds (sold separately) or free form and then glitter, paint, or seal (not included) your dried clay or leave it natural. This kit includes Yellow, red, blue, and brown clay and colour-mixing chart, 2 oz. total.